The perfect companion to keep all toiletries neatly packed away for travelling or just visits to the gym. Made of practical navy blue polyester for hygiene and easy cleaning it contains multiple pockets for all grooming essentials. 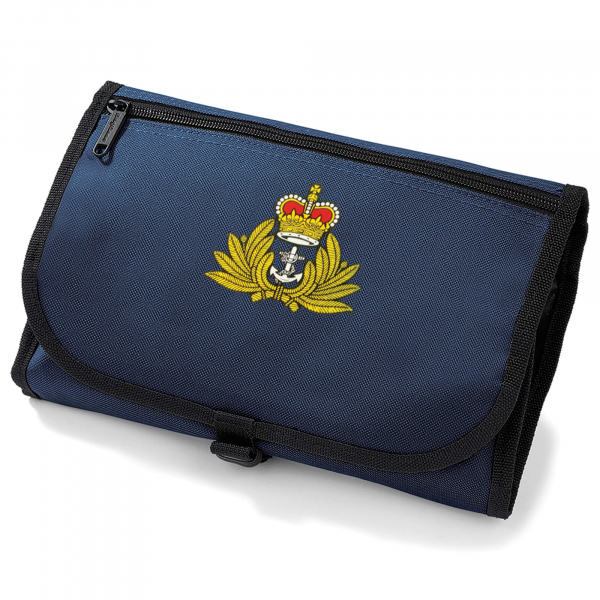 It has a hanger, inside mirror and folds away with a secure clasp finish and can be personalised with a printed badge or veteran badge.